I'm Andy Barker, a chimney sweep in Leeds. I work all over the Leeds area. 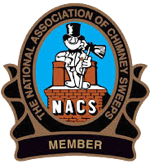 I provide a professional and clean service, solving all your chimney issues. What should you expect from a sweep? To get a free quote or to contact me fill out the quick online form or call anytime on 07947 577 245 or 01134 439 220. Andy was prompt and professional. I'd have no reservations in having Andy come to our home again and I'd highly recommend him to anyone. I have used Andy on several occasions over a few years for a number of homes which my company is contracted to. I always find that the work completed is done to a very high standard. Andy was friendly , helpful and punctual. The standard of work was excellent. We would definitely recommend him. Andy was punctual, friendly and very clean, I would definitely use again and recommend to everyone. Horsforth, Cookridge, Adel, Rawdon, Yeadon, Guiseley, Menston, Otley, Ilkley, Burley-in-Wharfedale, Poole-in-Wharfedale, Bramhope, Alwoodley, Moortown, Chapel Allerton, Shadwell, Scarcroft, Roundhay, Pudsey, Farsley, Calverley — and all other areas in Leeds.